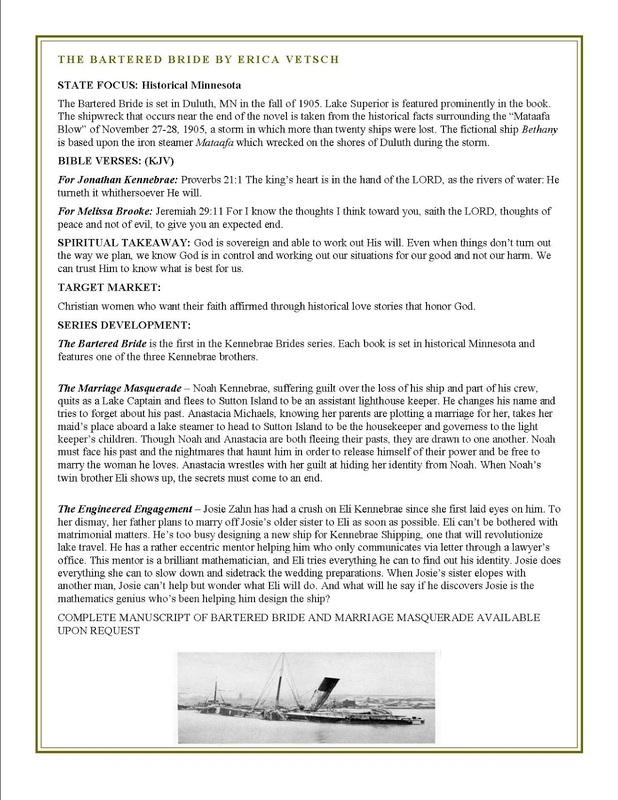 Seekerville: The Journey Continues: What Goes On A One Sheet? If you’re new to this writing lark, you’re probably stressing right now over the fact that you didn’t know there was such a thing, much less that you should be stressing about it! Never fear. And don’t stress. One Sheet creation isn’t scary. It isn’t a great mystery. And it can be fun! know where to look or what's important. Basically, it’s a mini-proposal. 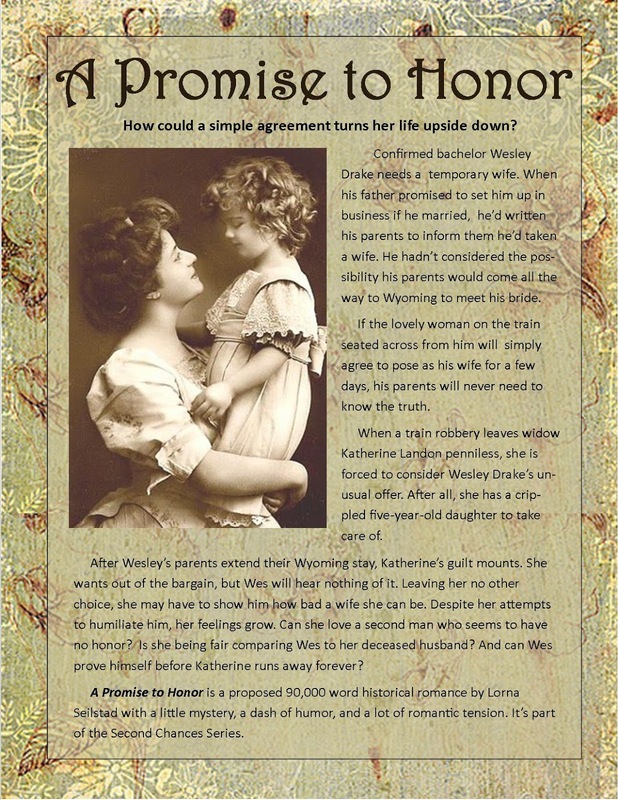 With pictures, colors, and fancy font, all the things you’re not supposed to use in a full-length proposal. It's an aid to you and to the agent/editor when discussing your story. Second, what goes on it? Lots of fun stuff, some strongly recommended, some optional. Third, how do I make one, and how can I make one that will grab an editor’s eye and mind and really showcase my story and myself? Deep breath. We’re going to break it down into bite-sized pieces, and thanks to the generosity of some friends, there will be lots of examples! favorite places to visit! The photograph gives a hint of the genre. What information goes on a one-sheet? 1. Contact information. Name, email, phone. 3. Title of the story. 9. If the book is meant to be part of a series, one paragraph descriptions of subsequent books. That’s enough to be going on with, isn’t it? But before you go back to stressing, most of these things are EASY-PEASY, and you already have the information you need, it just needs to be organized. So let's take each of these items individually and break them down. Contact Information – simple enough, since you know your name, phone, and email, right? Agent Information – also simple. If you have an agent, put his/her contact info here. If you don’t, leave it out. If you’re pitching to an agent, they’re going to know you don’t have an agent yet, and if you are pitching to an editor, it is okay to tell them you are un-agented at this time. Title – This might only be a working title, but you have to call the story something, and here’s a chance to showcase your creativity. Shorter is better, but do a little research. Go to amazon.com or christianbook.com and search for your title idea. You don’t want to accidentally give your book the same title as one that’s already been a blockbuster. I mean, technically, you could call your story about a boy who loses his homework in a hurricane “Gone With The Wind” but I wouldn’t recommend that. Genre – This is important. You must identify a genre for your story. Mystery, historical romance, suspense, women’s fiction, thriller, horror, young adult. Pick something that will give the agent/editor somewhere to start. Don’t try to be too weird or creative or out there on this one. The agent or editor wants to know where in a bookstore would your title be shelved. If they take your story to the publication board, marketing and publicity will want to know what it is they’re supposed to be selling to bookstore buyers. Clarity is important on this one. Elevator Pitch – In 30-50 words what is your story about? Short and to the point. Give the main conflict of the story. Imperial Forces hold a princess hostage in their efforts to quell the rebellion against the Empire. An orphan and a mercenary work together to rescue the princess, help the Rebel Alliance, and restore freedom and justice to the Galaxy. When a young woman is killed by a shark near the tourist town of Amity Island, the police chief, an ichthyologist, and a grizzled ship captain engage in an epic battle of man vs. shark. A super hero is forced to assume a mundane life after all super-powers are banned by the government. He longs for adventure, and he gets a chance when summoned to battle an out-of-control robot. Soon, he is in trouble, and it's up to his family to save him. was meeting with various editors. Brief Summary – Expand your elevator pitch to 100-300 words. Here you can use character names, occupations, and the unique situations in your book. Give the main goals of your characters, and the conflict that will keep them from getting to that goal. out, easy to read, and the truck picture is memorable! 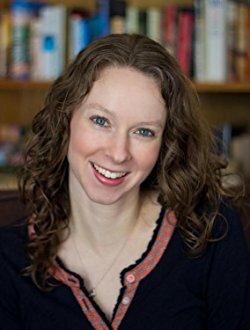 Author Bio – Make it fun, make it interesting, make it uniquely you! Read examples online and pick out the things that intrigue you or that you find interesting and see what in your own life you can single out that make you different from other authors. Include a photograph of yourself…a headshot preferably! You want the agent/editor to be able to make a connection between your story and yourself after the conference when they are sorting through the things they brought home and all the people they met. 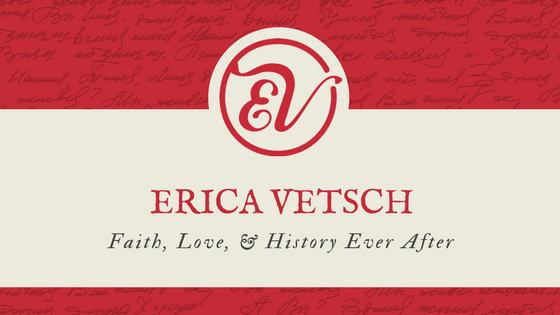 Best-selling, award-winning author Erica Vetsch loves Jesus, history, romance, and sports. She’s a transplanted Kansan now living in Minnesota, and she married her total opposite and soul mate! When she’s not writing fiction, she’s planning her next trip to a history museum and cheering on her Kansas Jayhawks and New Zealand All Blacks. 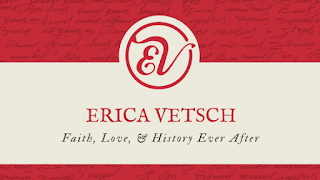 You can connect with her at her website, www.ericavetsch.com where you can learn about her books and sign up for her newsletter, and you can find her online at https://www.facebook.com/EricaVetschAuthor/ where she spends way too much time! Brief Character Bios – (Optional and if you have space.) Here’s where you list your characters’ goals, motivations and conflicts, along with personality types, unusual occupations, or character-forming backs-story events that make your hero and heroine unique. Keep this succinct, just giving enough information to hook the reader. Manuscript Status – Here’s where you tell the editor/agent if the story is done or not. FYI, if you are pre-published, you MUST finish the manuscript first. Agents and editors want to know that you can finish a book, that you can deliver on a story’s promise. List the manuscript’s word count in this section, as well as note that sample chapters are available upon request. Series potential – Is this book meant to be the first in a series? If so, give a brief overview of subsequent books. Most series are three books. If you have a 20 book saga series planned, just give the overview of the next two in line, and mention the potential for more. If your book is meant to be a stand alone, that’s okay, too. Instead of talking about spin offs and sequels, you can state in this section that you have finished X number of manuscripts, give an elevator pitch for a couple of them you feel are your strongest works, and mention that they are available upon request. Marketing/Promotion/Platform – Here’s where you can put all the things that give you selling clout. Your social media reach, your newsletter subscribers, podcast followers, etc. More and more, publishers want to know what your ‘warm market’ is. How can you help get the word out about your story? Once you have all this information gathered, now it’s time to get your artist hat on. Now, you might be groaning that you have no artist hat, no graphics design ability, and no talent for assembling visually appealing designs. That’s okay, because there are lots of folks out there who do have that ability, and they would be happy to put it to use for you. 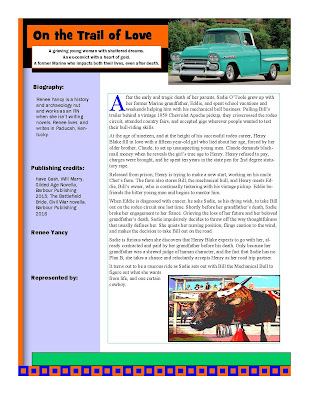 I use Microsoft Publisher, but there are lots of programs you can use to create one sheets. Be creative, try different layouts, use templates or free form it. Remember white space is not a bad thing, but pictures can lend a lot of interest. 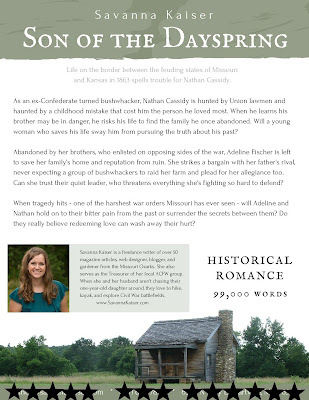 design conveys the vintage feel of historical fiction. 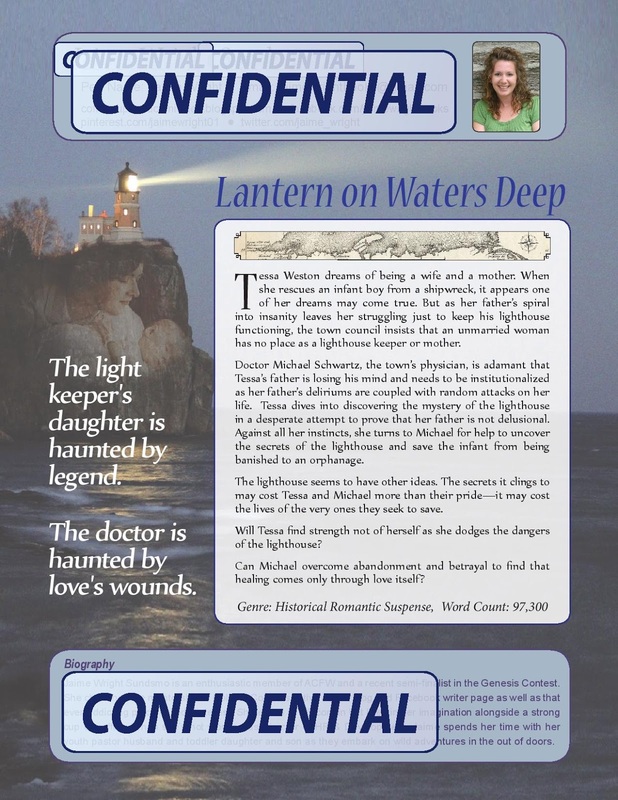 her personal contact info confidential. So, have you ever created a one-sheet? Is there anything you put on it that isn't covered here? Many thanks to Lorna Seilstad, Jaime Jo Wright, Renee Yancy, and Savannah Keiser for letting me use examples of their one sheets. Thanks to Stephanie Morrill for letting me use her author bio and photo. 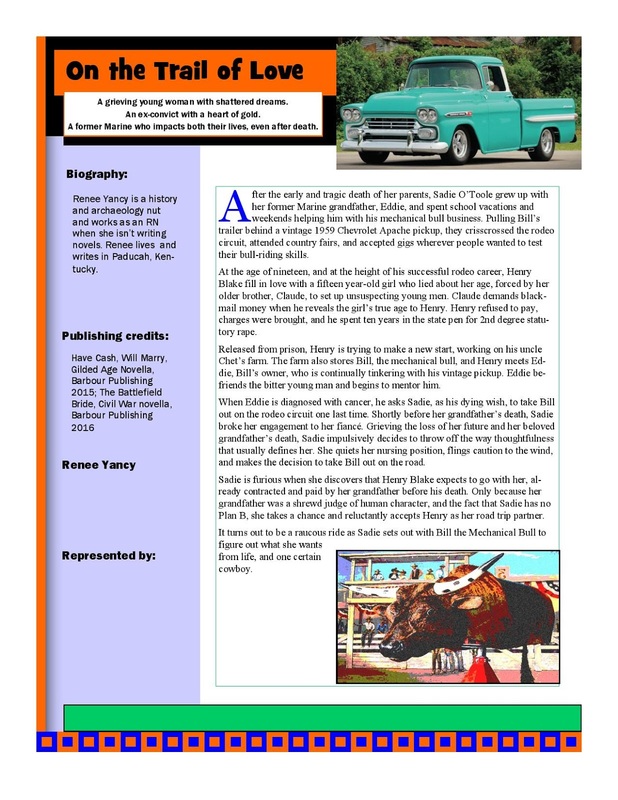 Lorna Seilstad, who graciously volunteered some examples for this blog post loves to help new writers by creating one-sheets for them. 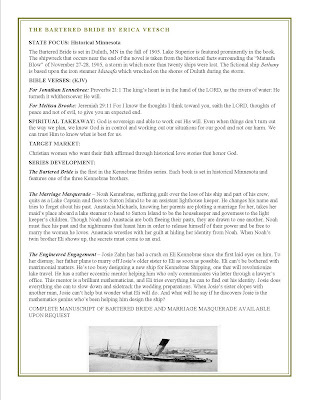 Check out her webpage here: http://www.lornaseilstad.com/forwriters.html for her rates and samples of her work. 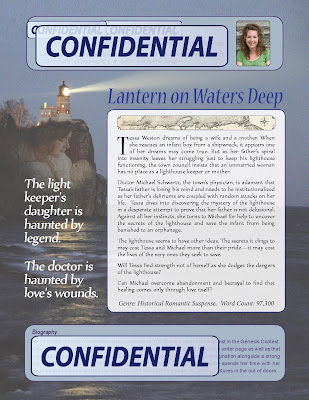 Leave a comment, and be entered to win a free one-sheet design from Lorna Seilstad! 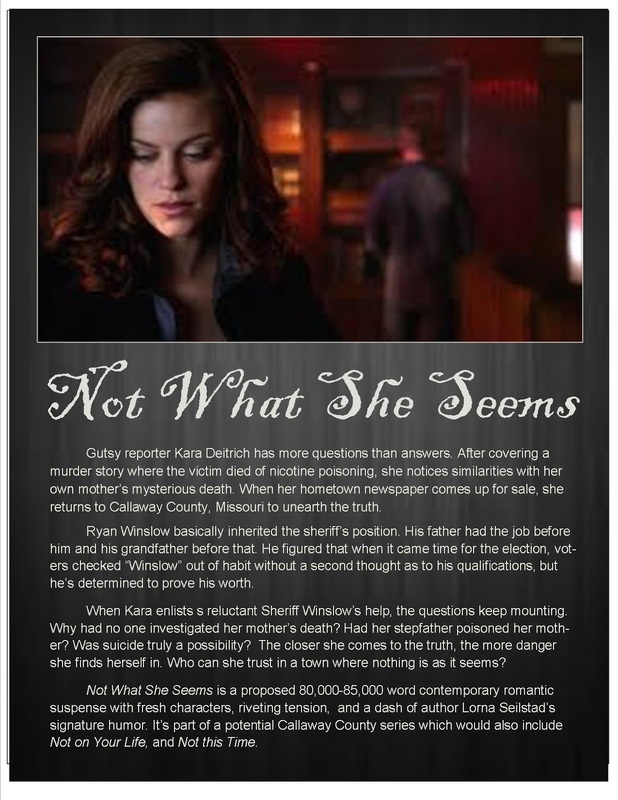 Lorna's graciously offered to create a one sheet design for ONE SEEKER! Comment below, and be entered to win! Wonderful tips & delightful examples! Thank you! I was one of those new writers you described in the opening paragraphs...I was worried because I didn't even know what a one-sheet was! Thanks for breaking it down so beautifully. I learn by example and you had a ton of them. Great post, Erica. Thank you! Glynis, so glad you found the post helpful. I learned so much from visiting Seekerville in my early days, and it feels good to be able to pay some of it forward. 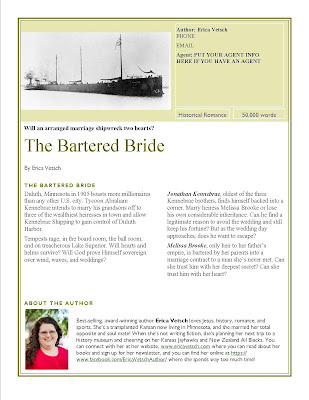 Great post, especially with ACFW conference barreling down the metaphorical pike. I've been doing my own because I have minimal design experience from my newspaper work, but would love to have one professionally done. My problem is fitting all the information in! I don't want the type to go too small. Erica, this is good information and something I plan to work on before ACFW. Hey, Kathy! Yep, you want to fit so much in, but you don't want to have to give it to an editor along with a microscope to read it! The nice thing is, the one-sheet is just a prompt, and the editor or agent will ask questions and you can fill them in about the story through conversation. This is a wonderful post for all of the authors, published and soon-to-be. You've provided a great "cheat-sheet"! Connie, I'm so glad you found the post helpful. There's so much to learn in this industry...we're ALL still learning! I love that we can share and pool our information so we all benefit. Great post, Erica, and most informative. I love all the examples as that is how I learn best. I do have a couple questions. First of all, I noticed you have information on front and back on your sample one sheet. Is that normally how it is done? On the other samples, we only saw one side. Was there something on the other as well? I was also wondering when listing the genre if you should put inspirational in the description--such as inspirational women's fiction--to indicate that aspect of it. Or is that not necessary if the publisher is one who publishes inspirational anyway? Thanks for your help. Also, I am not yet ready to present a one sheet to anyone so please leave me out of the drawing. It should go to someone who needs it now. But I will definitely remember that Lorna does this! I'm sure I will be referring to this post in the future. If you are pitching your project somewhere like Mt. Hermon or ACFW or Blue Ridge Christian Writer's conference, you don't need to put "Inspirational" in the genre. It's understood. If you're at a secular conference and pitching to a Christian publisher imprint like Love Inspired, it will be understood as well. I'm not sure under which circumstances you would pitch an inspirational novel to a secular publisher, but if that situation arises, you could discuss the spiritual content of the work at the pitch meeting. Thanks, Erica. One more question. What if pitching to an agent? Would I be likely to be looking for an agent that only works with inspirational authors, or would I need to specify that? Thanks again! Again, it would depend upon where you were pitching. At a conference for the Inspirational market, the agent would probably assume you were writing inspirational fiction, but if you want to be very clear, you could put the word inspirational in your genre just to be safe. Erica, this is the perfect post as we approach conference season. You have TONS of great information in here, too. I anyone is working on a one sheet, they'd be wise to print this post out and use it as a reference. I've passed this article on to a new writer who will be attending the ACFW Conference for the first time. She'd asked me about one-sheets. This article is exactly what she needed! Thank you! Linda! Thanks so much for spreading the word! Have your friend hop over and comment. She might win the One Sheet Design from Lorna! Hi Erica! It was nice to see you at the MN Nice meeting last night. What a helpful panel discussion! I learned a lot, such as the existence of a One Sheet, which I had never heard of before. I’d love to be entered into your contest for a one sheet design, but even if I don’t win anything, I already feel like I’ve been given a great resource here. Thank you! It was great to see you last night. Wasn't that room sweltering? Yikes! TC, we're glad you stopped by! Great post, Erica! I have made a few one sheets and I can’t think of anything to put on there that you haven’t already listed. Thanks for sharing! Thanks for your comments last night on the panel discussion...and for hosting the retreat! Gabrielle, we're glad you came by! I sure wish I could have attended that retreat! Thanks for this wonderful post! I've already pasted it in my Scrivener Reference file where it is instantly available which ever book I am working on. This is like the extra $99 seminars that happen the day before the conference starts. This is a post to read, study, and keep available. 2) the title itself can be like a micro one-sheet. Its job is to attract the favorable attention of those prospects who are most likely to buy the book if they only knew it existed. These people have to know quickly that this is book for them. I've seen Indie titles recently that are actually working to not sell the book. They unsell the book by attracting people who think it is a different kind of book than it really is. While you can't attract everybody to your ad, you do have a chance to attract every prospect given the right title! Also: think about the promise of the title. Consider a title like "Sickness Unto Death"*. As a reader do you really want to spend five to twelve or more hours in the kind of reading environment this title promises? Make the title an invitation to a party where readers are going to be entertained and enjoy themselves. *This was a good title for Kierkegaard's book about original sin but it would not be the best title for Ruth's "Winter's End". There is a reason editors want to select the titles. Hey, Vince! thanks so much! I agree, beware of the font, color, background, etc. Make sure they work together and don't make the reader have to work too hard. And yes! Titles are important. Often, they are the reason a reader will take a second look at the book jacket. :) Be creative, set the mood of your story, and don't be boring! 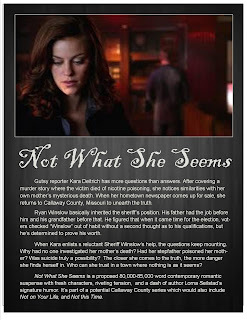 I'm squealing because Lorna Seilstad is writing a suspense series! Eeeeeepppp! That one sheet-sold me! And this whole post is fascinating. I've heard of one-sheets but haven't seen one -- at least not of this caliber. They are all awesome and have me wanting more. Hopefully editors feel the same way...or felt the same way. Don't enter me in the draw -- I'm not in need of one-sheet...yet. Hey, Kav! I don't know if Lorna has sold that particular series yet, but doesn't it sound fabulous??? When you're ready for your one sheet, I hope you can refer back to this post, and maybe even contact Lorna for some design help! Erica, I So WISH I'd had this years ago when I wrote my first one-sheet! You gave wonderful examples and a great breakdown. I think the elevator pitch is probably the hardest part! I agree! It's hard to distill your 90K word down to a sentence or two! But when you do, you really know what your story is about! Erica, Thanks so much for sharing the information about Seekerville at last night's ACFW meeting. As a debut novelist who's (finally!) preparing to pitch, I admittedly had no idea what a one-sheet is until now. There is so much to learn! I appreciate the detailed guidelines and the opportunity to enter your drawing for a one-sheet designed by Lorna. RM, we're glad you came by! Great informative post. It's so fun to see how each One Sheet is so unique. Thanks for featuring mine! Renee, thanks so much for sharing your one-sheet with us! I love that each one was different, just like the stories and the authors. Erica, this post is GOLD! Thank you. I'm printing it off. I most definately will be using Lorna when the time comes. Please do not enter me in the drawing as I'm not ready to pitch yet. I hope everyone had a great day. Hi, Pat, so glad you found the post helpful. I hope it makes creating your own one sheet easier when the time comes! Thanks, Erica! I love seeing all the examples, all the different creative ways we can let our inner-artist shine through. Also, your workshop at the retreat and the panel last night at the ACFW meeting helped calm many of my nerves, reminding me to keep those expectations realistic. Thank you for sharing your experiences and knowledge! Michelle, you're going to ROCK the conference. I look forward to seeing you there! Thanks to you, Savanna, for sharing your one sheet with us! Aren't they fun? I love seeing all the one-sheets at the conference. I'm learning so much this week about things I didn't know existed! LOL This was very informative and I love the designs. Looks like the designs are just as important as the text. Thank you, thank you, thank you for sharing this information. I know it will come in handy in the future. Lee-Ann, the designs are important only in that they help visualize the story...and they need to be readable! But story comes first. Write the best story you can, then worry about the peripherals.